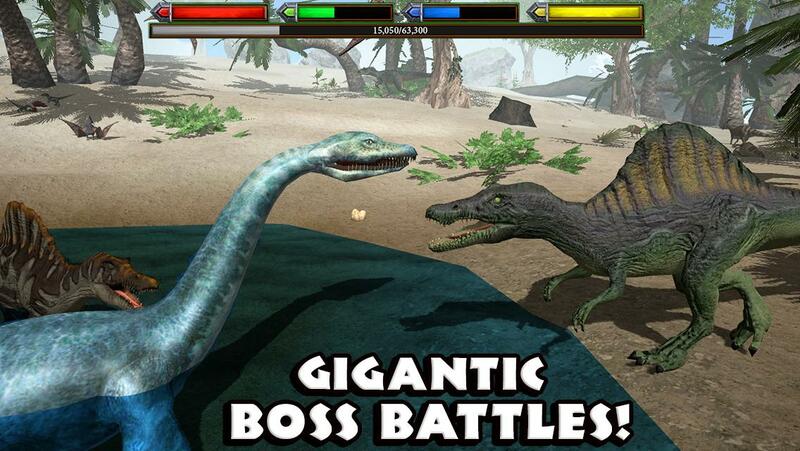 Gluten Free Games brings you its latest simulation game called Ultimate Dinosaur Simulator APK v1.1.1. 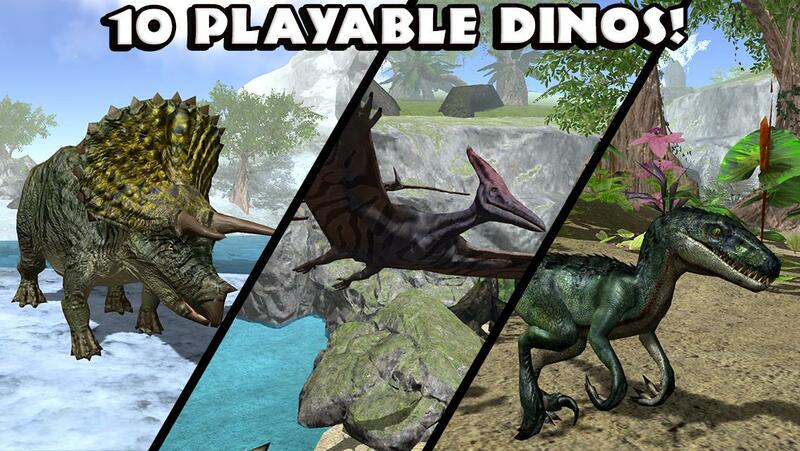 Become a ferocious dinosaur, hunt down other predators and survive. - Maintain your health, hunger, thirst, and energy while ruling over your dinosaur’s ancient territory! - Become any of ten famous dinosaurs and mammals like the Tyrannosaurus Rex, Velociraptor, Sabertooth Tiger, or even choose a flying dinosaur like the Pterodactyl or a swimming dinosaur like Mosasaurus! Each species has their own families, experience, and levels! - Test your skills against SIX thrilling boss battles! A massive spined creature lurks in the murky water of the swamp! Engage in battle with the legendary Plesiosaur to claim dominance over it’s waters! - Stat Points can be used to provide bonus’s to traits like Health, Critical Attack Chance, Run Speed, and much more! - Buff Points can be used to upgrade your Roar and Snarl Buffs, which create temporary Stat Boosting auras around your dinosaur when active! - Hunt down jurassic animals like the T. Rex, Raptor, Brachiosaurus, Pterodactyl, Triceratops, Stegosaurus, Ankylosaurus, Dilophosaurus, Allosaurus, Sabertooth Tiger, Mastodon, Plesiosaur, Spinosaurus, Mosasaurus, Gastornis, Parasaurolophus, Compsagnathus, and more!